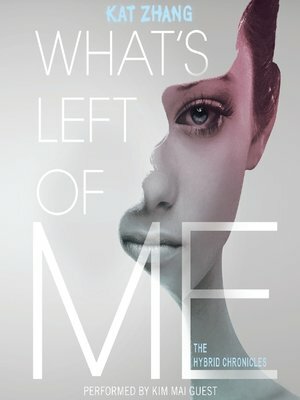 Fans of Stephenie Meyer's The Host will enjoy What's Left of Me, Kat Zhang's shocking, thought-provoking, and emotionally charged story of two souls sharing one body. What's Left of Me, the first book of the Hybrid Chronicles, is set in an alternate reality where everyone is born with two souls. But one soul is naturally dominant, and in early childhood, the other soul fades away. That didn't happen for Addie and Eva. Now fifteen, Eva clings to life inside the body she shares with Addie, although she can no longer speak or even move. Addie does everything she can to hide the presence of her sister soul. Eva's very existence is illegal. If their secret is revealed, it could mean death for both of them.